75% off 3 tag colors! And More! 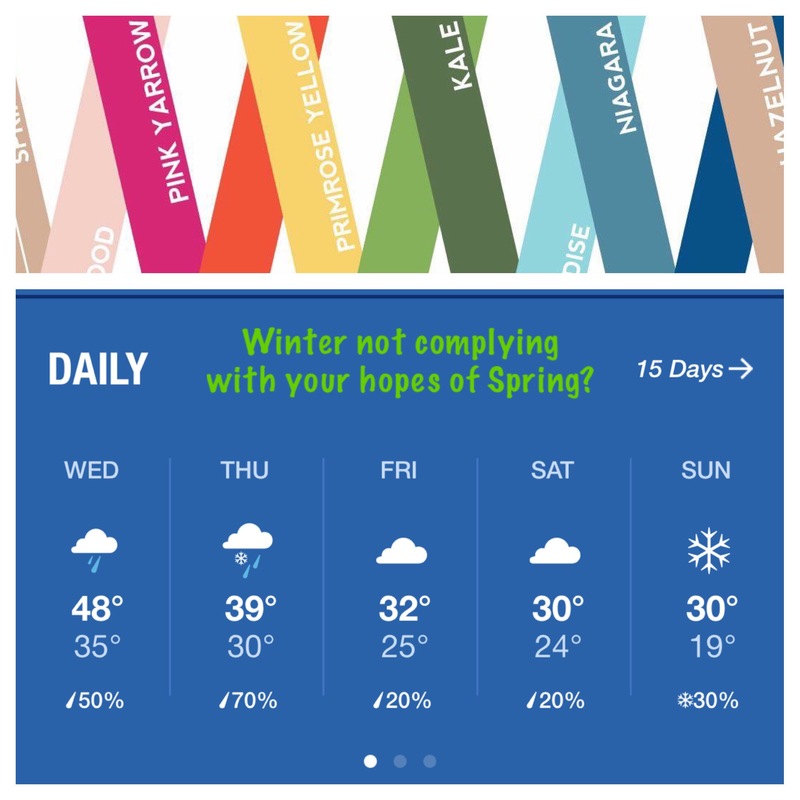 — Maybe you’re thinking about the Spring Pantone already but looks like the weather may not comply! Let us help see you through the rest of Winter with great fashion and awesome prices! Another Look now has all winter clothing and shoes on sale 25-75% off. Orange, Yellow, and Purple tags are 75% off and Red and Green tags are 25% off. We still have an amazing selection of coats, jackets and boots as well as thousands of pieces of winter clothing just waiting to make you look fabulous!! Remember to get your Spring clothing in for consignment too! Help us Recycle, Reuse, Reduce the Impact on our Precious Earth. Shop Resale! 15 items or less any time! Thanks to everyone for participating! Show this post in the store before February 1st for 10% off your entire purchase:). Can you guess it? — It’s contest time again! 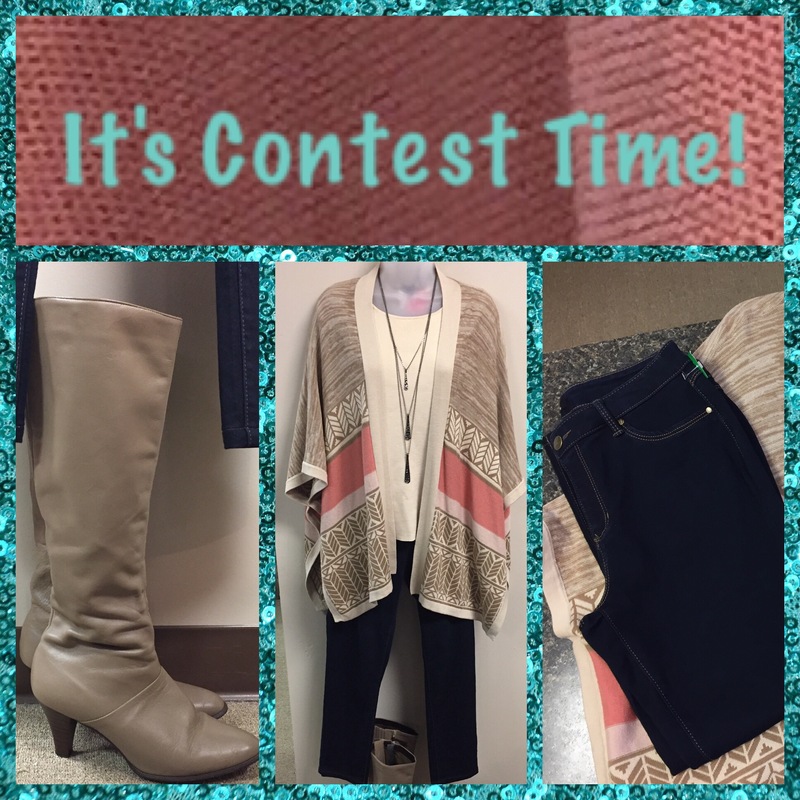 Be the closest guess to Another Look’s cost of this entire outfit (tax excluded) and win a $25 gift certificate! A few hints: our jewelry sets are always $10, this cream colored top is The Limited brand and the poncho is Forever 21. Enter on Facebook or email your guess to anotherlook4u@gmail.com! Only one guess per person per contest. Previous winners are excluded. Deadline for entry is Saturday, January 21st at 6pm. 20% off Storewide! — Love Another Look? You’ll love it even more with this awesome 3 day sale! Our entire store is 20% off through 6pm Monday, January 16th! Don’t miss out! Remember, Recycle, Reuse, Reduce the Impact on Our Precious Earth. Shop Resale! Open 10-6 Monday-Saturday. Accepting your best 15 items everyday until 5:30. Hurry In!